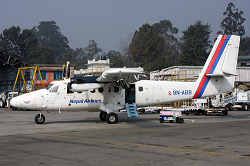 The aircraft went missing in bad weather conditions when it flew into ground about half an hour after departure from Pokhara Airport. 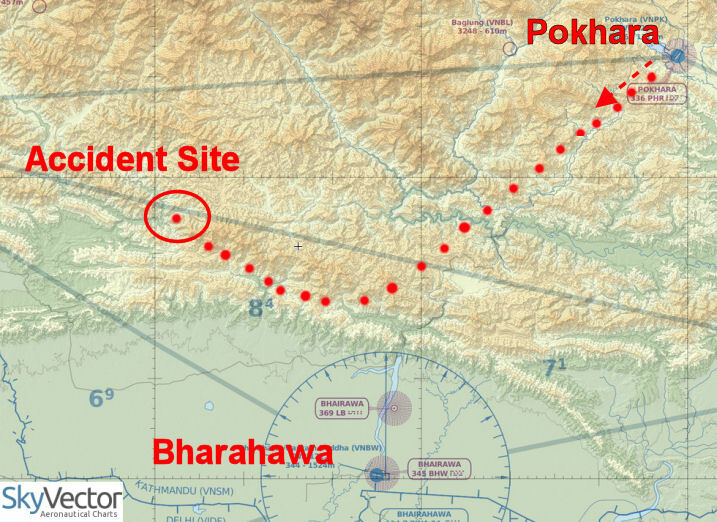 Apparently due to weather concerns, the pilots earlier considered to divert to Bhairawawa Airport, located about 50 NM southwest of Pokhara but failed to report any further position. 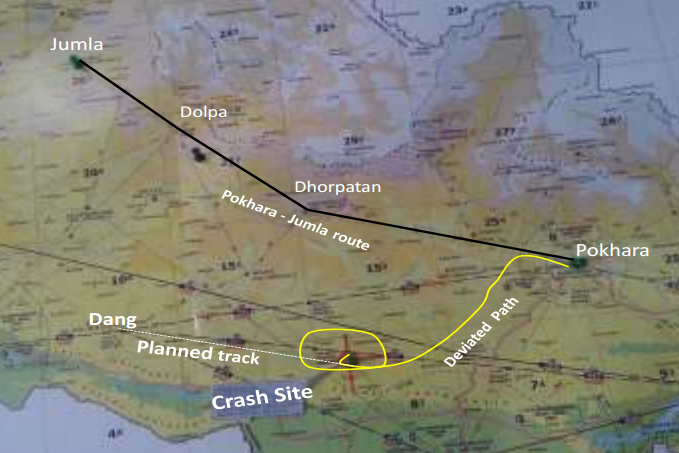 The pilots made last radio contact with Bhairahawa Tower frequency at 13:13 L. Search and rescue operations failed to locate the aircraft in daylight time. 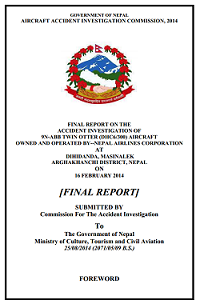 First report the aircraft came town in wooded hillside near Khidin town, turned out to be false. 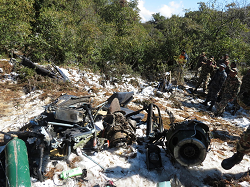 The remains of the Twin Otter were located the following morning west of the town of Sandhikharka at an altitude of 7000 feet. There were no survivors. – Deteriorated weather associated with western disturbance, unstable in nature and embedded CB. Location: Sandhikarka area, Argakhanchi Prov.